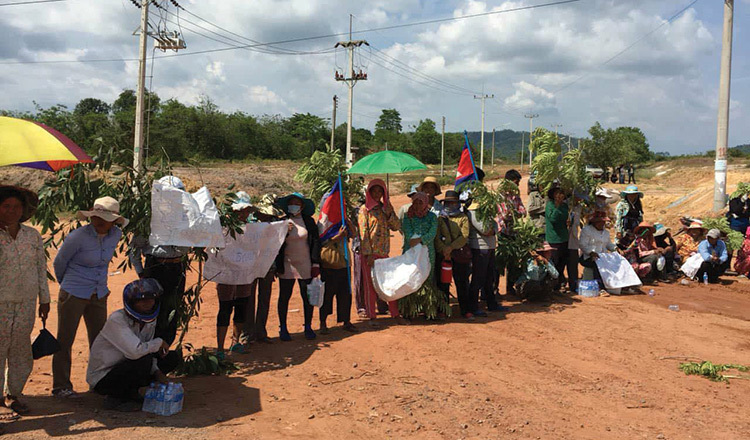 About 400 people representing nearly 600 families from Koh Kong and Kampong Speu provinces returned to protest at the Land Management Ministry yesterday to appeal to the government to speed up the resolution of a decade-long land dispute between villagers and sugar company giants. The protesters represent families from Sre Ambel and Botum Sakor districts in Koh Kong province and Kampong Speu province’s Aural district. 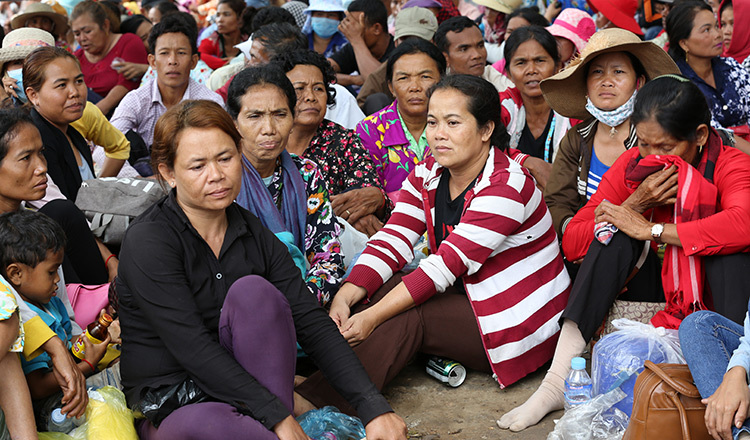 They demanded that the authorities solve their land disputes with Koh Kong Sugar Industry, Koh Kong Plantation, Forsona, Phnom Penh Sugar Industry and Kampong Speu Sugar. 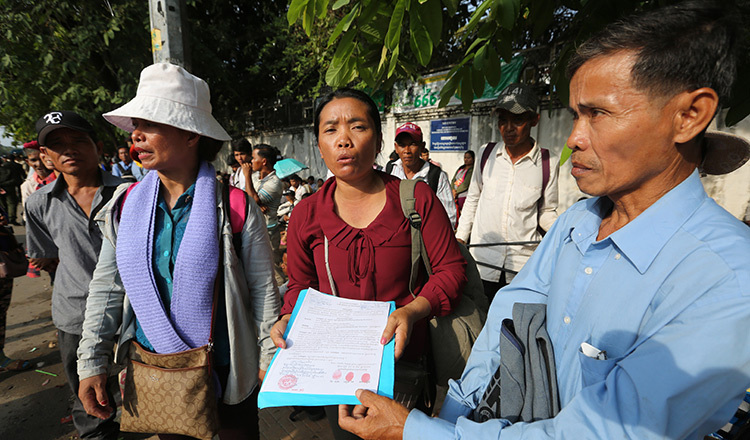 Om Phon, a 66-year-old representative of villagers in Koh Kong province, said villagers first submitted a petition asking for the ministry to intervene on their behalf against the sugar companies operating in the province in April. 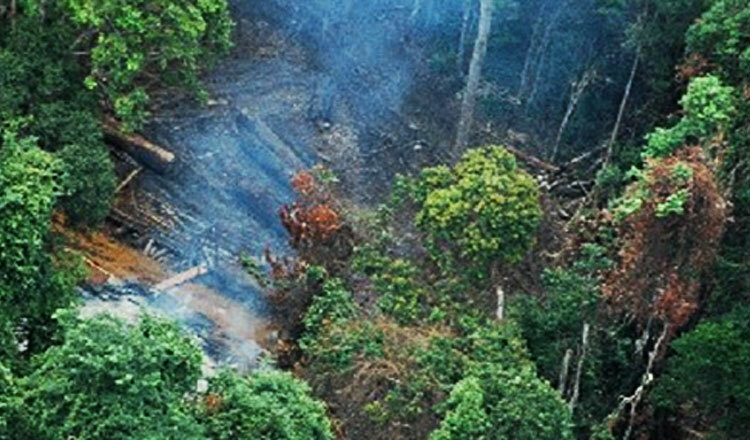 Last month, the government along with the sugar companies said that they had already solved the disputes. 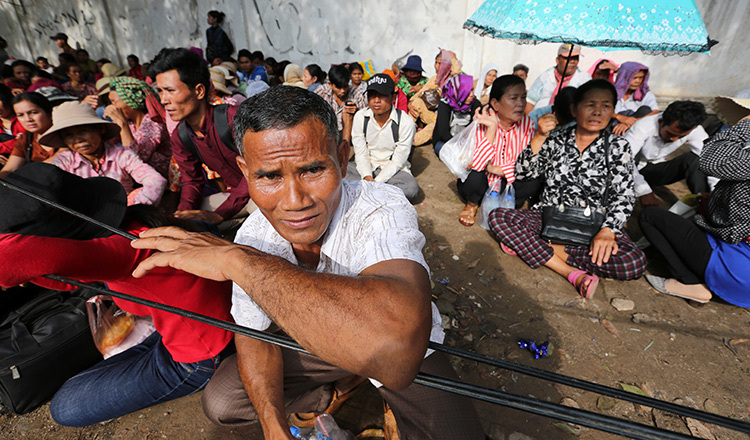 They said that 375 families in Koh Kong province’s Sre Ambel and Botum Sakor districts were compensated. They said that companies had agreed to cut more than 800 hectares of land to provide compensation. 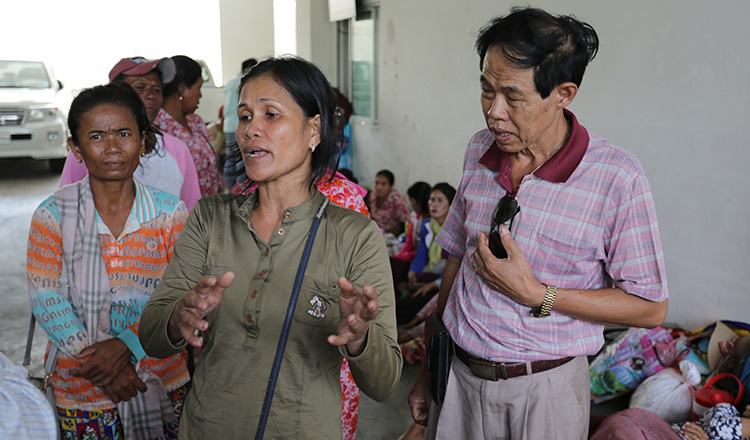 Heang Sokhon, a 50-year-old evicted resident from Koh Kong province, said that he wants the ministry to resolve his dispute like it did for the other 375 families. He said his group did not join rallies in the past because village and commune authorities suppressed their intentions to express their disappointment. 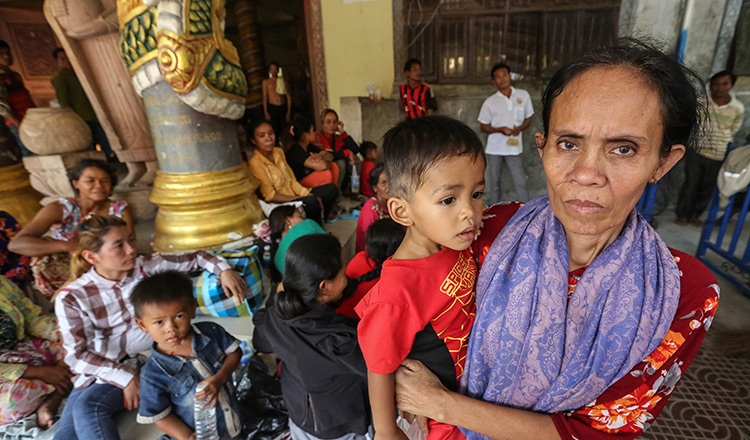 Him Chhem, a resident of Hoang Samnom commune in Kampong Speu province, said the ministry promised to settle his dispute which began in 2011, but the government has not been able to provide an exact timeframe of when the dispute will be resolved. Kong Chamroeun, secretary to Prime Minister Hun Sen’s cabinet, met with the protestors to accept the petition yesterday and told all residents that a solution is going to be provided by next Tuesday.